How to Recover and Repair SQL User Database Free of Cost? Problem - You as an SQL Server user tried to access your SQL Server database but, suddenly faced a complicated error message and your SQL Server got terminated. Again you tried but, faced same problem, same error message and same SQL Server database termination. Now, you are thinking, "How to Repair SQL User Database?" Solution - To recover and repair SQL user database, you can use SQL Server user database repair tool. This amazing tool provides the ability to recover SQL Server user database during all complicated issues of corruption. Recovery of all objects of MS SQL Server database (including tables, views, stored procedures, indexes, functions, etc) can be done properly with the help of this software. 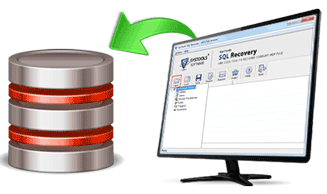 Provision to save queries in TXT file during SQL database recovery process, also comes in this software. It works fluently in all Windows editions and allows the users to recover database of all MS SQL Server editions (including SQL Server 2000, 2005 and 2008). After performing recovery with this tool, the users can extract database objects either in existing SQL Server database or in SQL supported script files. (SQL Supported scrip files are those files which can be used to generate SQL Server database in all SQL installed computer systems). Many more facilities like Easy User-Interface, 24x7 support, etc come in this tool by which you can carry out the process to repair SQL user database with high quality and great ease. Free Trial - If you wish then, you can also check the SQL Server user database repair ability of this tool free of cost with demo version, which performs SQL Server database recovery, fix corrupt SQL user database and provides the preview of recovered database items on computer screen. For recovering, previewing and extracting unlimited SQL Server database, you need to Buy the Full Version of this MDF Data Recovery Tool.